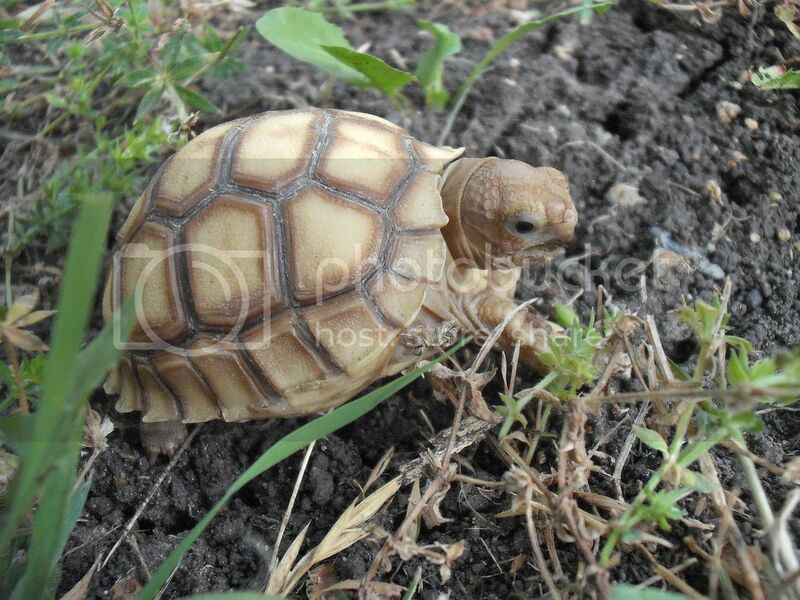 for those of you who don’t know, penelope is a 3 month and 1 week old sulcata tortoise, but i talk about her here because the tortoise forums are dead. she weighs exactly the same: 40 grams. imo, i think they grow very slowly. i know their metabolisms are incredibly slow (and too much food is one cause of pyramiding--they just don’t utilize it as quickly as other reptiles), so i am unconcerned. she’s still bright-eyed, just as sweet as she can be--she is truly the child of my heart. it scares me to death, because it’s so easy to do something wrong and kill them. she has never eaten anything but grass and weeds in her life with me (because another cause of pyramiding is too nutritious food--their bodies are made to glean the nutrients out of sparse desert vegetation), and she never will. she’ll never know what a strawberry is if i never feed her one, and i refuse to give her "treats" that will only deform her shell and shorten her life (imo, of course, and i have very strong o’s). she thinks a dandelion flower is the most wonderful thing in the world. she’s allowed one a day, after she has grazed, because if she gets it first she’ll be out there for an hour looking for another one if i let her. outside she eats dandelion flowers and blue field madder almost exclusively, so inside she gets dandelion leaves, bermuda and fescue grass, chickweed (not often because it’s highly nutritious), burr clover, black medic and dichondra. i found a new one today, too. 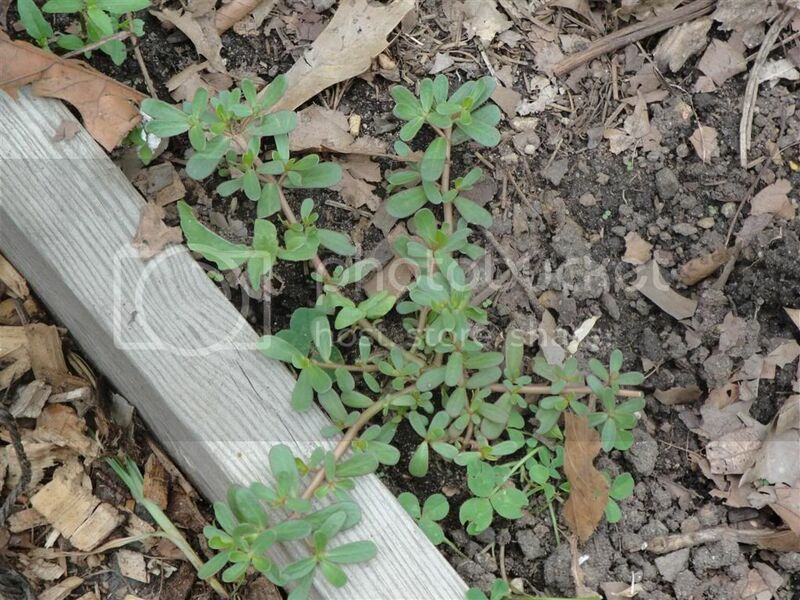 it’s called "purslane:"
it’s a succulent that is very high water and low protein (another pyramiding cause: too much protein), also high in vitamin a, b and c, has omega 3’s and the calcium/phosphorus is 1.5/1, not perfect, but within acceptable limits for an occasional. half her (2 x 4) cage is damp; half is dry. she makes use of her pond regularly and basks on top of her bridge, sleeps underneath it. she has a 10% UVB and a 100-watt incandescent light. she seems to enjoy her "big sister," sini’s, company, and i give her a frantic physical every day of her life. her eyes and nose are dry, she has a semi-permanent calcium beard, her shell is hard and smooth, and i always make her press her feet against my fingers so i can make sure she’s strong. she enjoys having the top of her head rubbed and knows her name. the reason i wrote all of that (aside from ocd) is, i don’t claim to know anything more than anyone does, but i do obsessively do research and i want to share what i learn with everyone. milan’s baby got sick because of conflicting information. i pray mine never does, and anything i discover, right or wrong, i’ll share.